There appears to be a link between hearing loss, dementia, and cognitive decline in ageing adults. So which came first, the chicken or the egg? Or better stated after reviewing the 2016 White paper ACTA Otorhinolarngol Ital 2016 ; 36 : 155-166, which came first hearing loss or cognitive decline? Age related hearing loss (ARHL) has multi-factorial pathogenesis and it is an inevitable hearing impairment associated with reduction of communicative skills related to ageing. Increasing evidence has linked ARHL to more rapid progression of cognitive decline and incidental dementia. Long term hearing depravation of auditory inputs can impact cognitive performance by decreasing the quality of communication leading to social isolation and depression and facilitate dementia. On the contrary, the limited cognitive skills may reduce the cognitive resources available for auditory perception, increasing the effects of HL. In addition, hearing loss and cognitive decline may reflect a ‘common cause’ on the auditory pathway to the brain. This report is endorsing the fact that hearing loss increases a persons’ tendency towards dementia, something that new studies have been demonstrating that impaired hearing can contribute to cognitive load and therefore affect attentional and cognitive resources that are important for maintaining posture and balance. 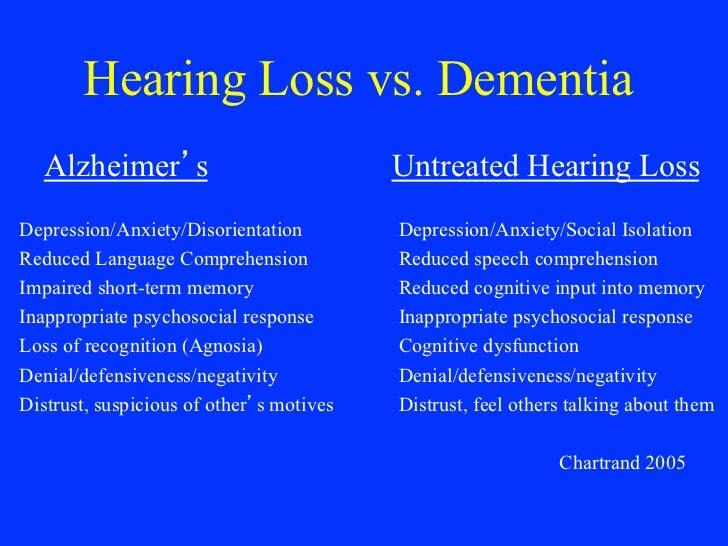 However, it also states to the contrary that cognitive decline outside of hearing loss can contribute to the onset of other contributing factors such as hearing loss. Either way, going on without hearing help for auditory depravation simply put, is destined for a cascade of progressive risks to mortality. In general, we know that hearing loss contributes to isolation and social withdrawal, but new evidence indicates there is so much more. The decline in older adults with untreated moderate to profound hearing loss may develop a cascade of conditions including communication difficulties, social isolation, depression, an association with falls, and declines in physical functioning, decreased quality of life and even cognitive decline, that can be counteracted by a hearing aid. There is this “cascading hypothesis” among professionals where the relationship of HL and cognitive decline, the natural consequence is that the use of hearing aids or a cochlear implant should be associated with better cognitive performance. Hearing loss and cognitive decline as a consequence interferes with good health and reports have found that HL is associated with a 20% increase in mortality compared with normal hearing in community dwelling older adults aged 70-79. Staying active is critical in maintaining ones well being and sense of worth. Robust evidence suggests that HL in the elderly is independently associated with the development of cognitive decline and dementia. 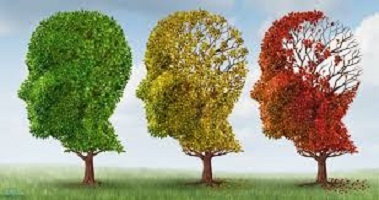 Several hypotheses on the pathogenic relationship between HL and cognitive decline have been argued and summarized in conceptual thinking where the hearing impairment impacts cognitive load, alters brain structure and function, leads to social isolation and depression related with common genetic and environmental factors. HL and its general effects on cognition are highly prevalent in older patients and the effects there of may be preventable and treatable with rehabilitative devices like hearing aids or cochlear implants, which remains to be widely underutilized. HL is something that goes undetected in many cases, therefore, it is the recommendation of the medical community and this specialist to have your hearing tested early.